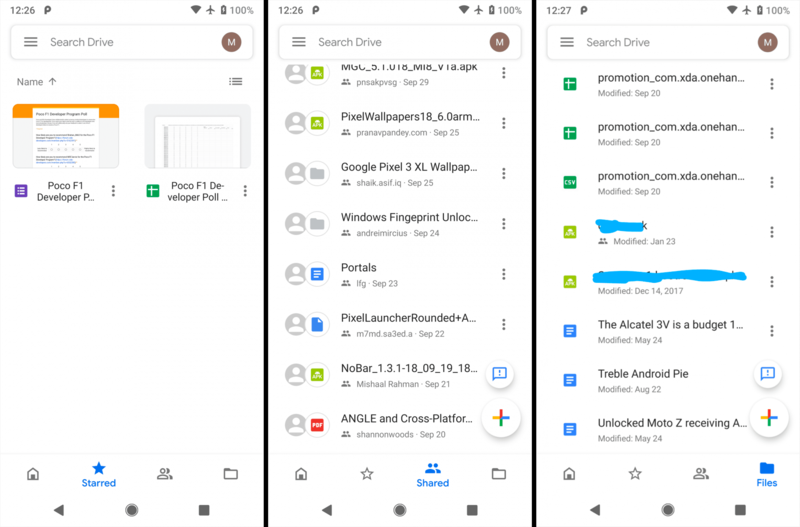 Google is continuing to slowly update all of its apps to a refreshed Material Design style (MD 2.0, to some) and the latest product to get this treatment is Google Drive on Android — the web version has already been updated. It's not actually live yet, but the code is there ready to go, so we can expect it to roll out to users soon. 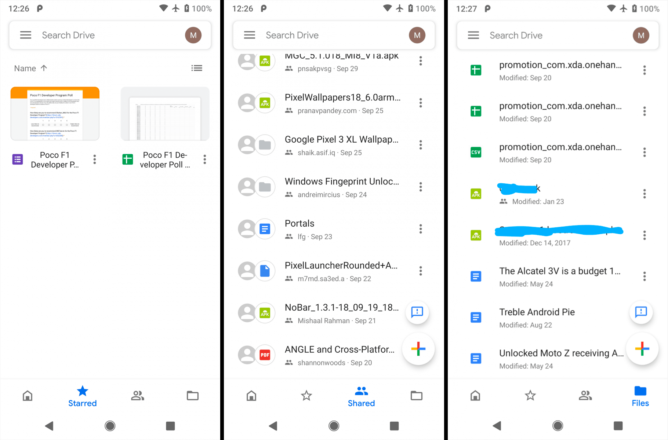 The screenshots come courtesy of XDA Developers in collaboration with Kieron Quinn, and there aren't too many surprises in view of Google's other recent redesigns. There's a bottom navigation bar with tabs for Home, Starred, Shared, and Files, with all of the other options still hidden behind the hamburger menu. A persistent search box covers the full width at the top, with no place for the overflow menu any longer. Account switching now resides behind the profile icon in the top right, and the progress bar helping you visualize how much of your storage you've used up has sadly been removed. In general, there are more rounded corners and a more liberal serving of Google's Product Sans typeface — just as we've seen in other Google apps. Last but not least, the FAB (when still present) is now the same boring white circle with multicolored plus icon you get in the new Gmail and elsewhere. That's about all we can say at this point. The app was already eye-searingly white, so at least that situation hasn't worsened.